LOOK NO FURTHER! Desirable LA COSTA VALLEY home w/beautiful views & spacious backyard. WALK to TOP RANKED El Camino Creek Elementary School! This sought after floor plan features soaring ceilings, 2 fireplaces, spacious kitchen with upgraded cabinets, granite counters & more. One bedroom on first floor! Upstairs you will find 3 bedrooms & large master w/balcony and upgraded stone in master bath. Secondary baths also are nicely upgraded w/stone and granite! Community pool, tennis, workout room. See supp, Seller to entertain offers between $1,149,000 and $1,189,000. Welcome to 2263 Camino Robledo! 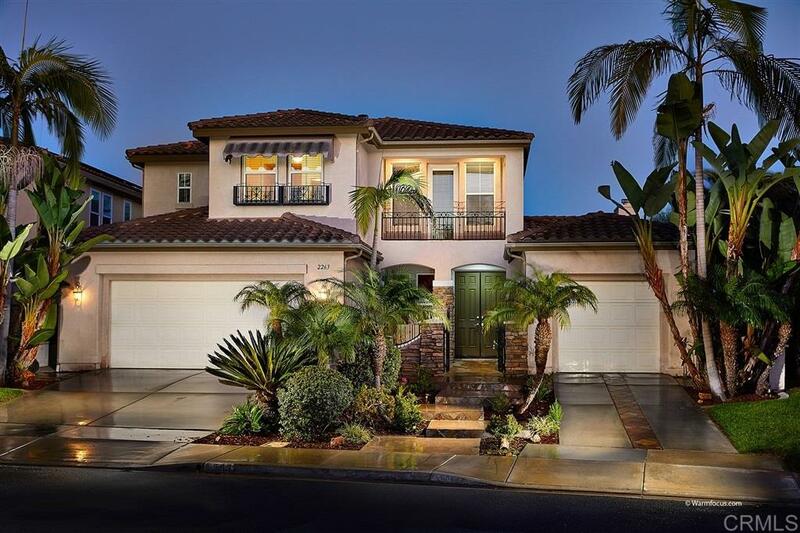 This fabulous home is located in the resort like community of LA COSTA VALLEY! Homeowners in La Costa Valley enjoy the VALLEY CLUB which offers tennis courts, rec room, workout room & state of the art pool, spa & kids pool. Short walk to the Carlsbad Forum Shops and close to freeways, beaches, restaurants and more! Low HOA & MELLO ROOS! Enjoy living the resort like lifestyle of LA COSTA VALLEY!